Mon-Fri 9-18, Sat 9-14, Sun 9-13. Optional open in July, days 8-20. Since 2005 I run this little intimate grocery store, open daily year round and with a large assortment. Here is everything what you may need to barbecue or excursion. How about freshly baked bread every morning? To the party or anniversaries, we have a selection of good cakes, you order just the day before. 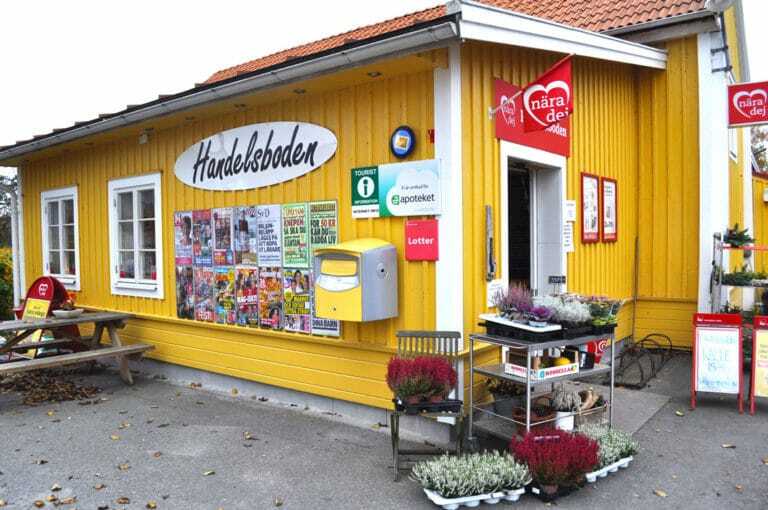 In my shop you will find also locally produced goods such as fish from Blomlövs smokehouse and a wide range of magazines, lottery tickets and we also have a pharmacy service.